The exercise for this month’s writing group came from this small, super-thick, square-shaped book (such that it was the shape of a cube) called, The Writer’s Block. (See what they did there?) In this book are hundreds of pages of ideas to “jump-start your imagination” and get you out of your own writer’s block. We passed this book around the table, opening to a page at random and using it as the inspiration for a short ~10-minute writing exercise. You could pick one of 3 pages, just in case you didn’t like the first, or even second one, you got. When the book reached me, the first page I opened to said to describe the last time you were in a fist fight. I thought hard about that one because I really couldn’t remember the last time I was in a fist fight, if ever. I could probably have used it as a jumping-off point for the hundreds of times I’ve done something stupid that physically harmed me, but I thought to try my luck with another page. The second page I landed on had a single word, “wish”, and on the page opposite that was a picture of a wishbone. It evoked far more actual memories and settings than the first idea, and in a second or two my mind started writing the beginnings of something, long before I put my pen to paper. Happy with this one, I passed the book over to the next person, and started my writing exercise. Dad’s fingers always got messy during this part. After carving the chicken, he’d discard the knife and work his way to the wishbone, pulling it out from the cooked white flesh of our dinner. “Make a wish Elizabeth.” he’d say, holding the wishbone out towards me. Pre-teen me used to enjoy this; dreaming-up something I didn’t have, then engaging in this little ritual skirmish with dad to win the prize in my head. It helped that I always won; my dad’s chicken-covered fingers provided little in the way of grip, and I also cheated a little, bringing my fingers closer to the middle to gain that extra leverage. The things I wished for when I was younger were always inconsequential, fleeting things, and each time I’d wish for something new, forgetting what I had wanted so fervently just weeks before. At the rate we ate roast chicken, I would have thought I’d run out of things to covet - doesn’t it become harder to think of what you want for your birthday with each passing year? But instead I dreamed bigger and bigger until the wishes became unrealistic. 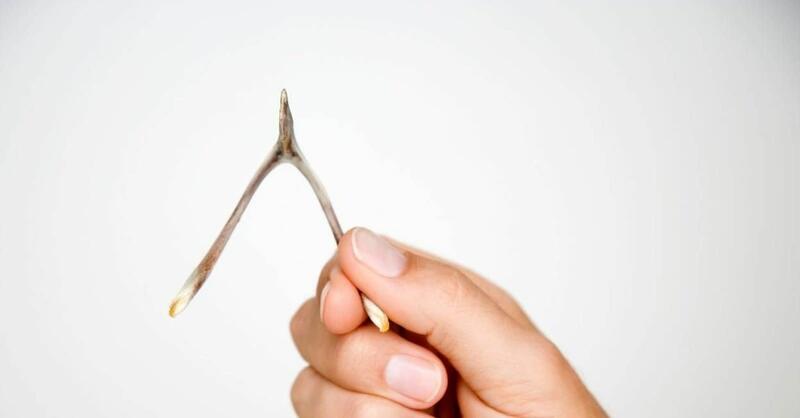 Groan, I thought, taking up my side of the wishbone. “What did you wish for honey?” asks dad. I don’t say anything. Isn’t it the rule that, if you tell someone what you wish for, then it won’t come true? Not that silence has ever helped me in getting that pony. Not that silence has helped with the wish I’ve been making for the last two-and-a-half years. So I keep to myself as I settle back into my seat, but looking at my dad’s face I can tell he knows what I wished for, because he’s been making the same wish too. I wish mom was still around… I can feel us both say.